Country star Clay Walker, who has multiple sclerosis, says exercise keeps him limber. 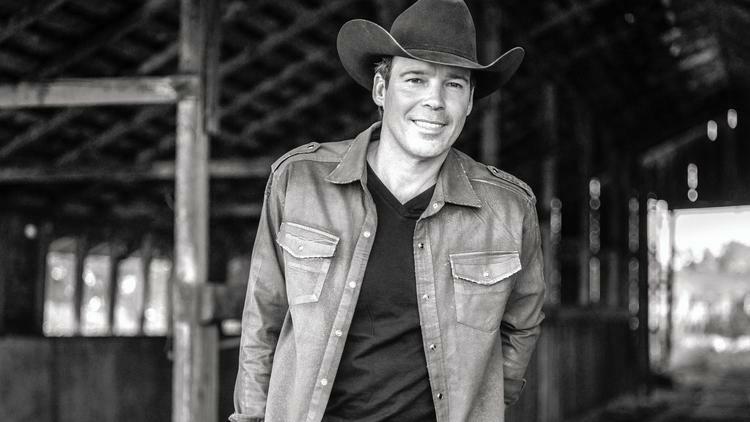 Country music star Clay Walker hails from Texas, a state that loves its football. As a kid, when he wasn't playing quarterback he was on the basketball court or exploring the outdoors with his cousins. Always into fitness, he was shooting hoops back in 1996 when he discovered something was terribly wrong with his health. Walker, 46, only recently went public with his struggle with multiple sclerosis. We talked about the role exercise plays in keeping him playing for crowds of fans for his latest tour. It's been 19 years since you were diagnosed with MS. How did you first know something was wrong? The band and I were playing basketball and I started falling and stumbling. At first I laughed it off because I thought my leg was asleep. Then I got double vision and facial spasms and my hands stopped working; I couldn't hold a guitar pick. That night, I could barely walk and had them hold the curtain closed until I got to the microphone. I didn't move around that night. It was terrifying. Tell me about the diagnosis that followed. I immediately went to a neurosurgeon. I thought I had a pinched nerve. When I was diagnosed the doctor told me I'd be in a wheelchair in four years and dead in eight. For a man of 26 that was just devastating news. I was broken. I couldn't sleep. The next morning I fell to the floor and prayed. Then I felt this strength; I felt that whatever this is, I could face it. I knew I had God on my side. There was just this moment where I felt this incredible courage to face it. You spoke of playing basketball. Have you always been into fitness? I played football growing up and I was the guy who played every down. I was fast and led with my helmet, playing quarterback and ramming like a linebacker. All that trauma makes me wonder if it contributed to my MS, but no one knows. I grew up on a farm and always played outdoors with a bunch of cousins. We played football and basketball and went hunting and fishing lots. We walked everywhere. What's the most important part of exercise for dealing with your MS? For a person with MS, your muscles start constricting and getting tight so you can't do normal exercises. But I've learned through a rigorous process that you can stretch your way through. You need to do both your own stretching and then have someone else stretch you further than you can go on your own. And it's amazing how much more range of motion you can get. I can now do pretty much any exercise that a normal person can do because of the stretching. ... I also stretch every night before I go out onstage. I gotta get a lot of grease in the wheels before I start rolling. Once you're all stretched out, what kind of exercises do you do? I do everything. I do core strength. Weight training. I do cardio. I also do some of the stuff that the NFL players do, and a lot of balance work. I use a big vibration plate to intensify the workout. In the warmer months I have a trailer that gets pulled behind the tour bus and it's full of bikes, and me and my band will ride 25 to 40 miles a day. People with MS have their timing messed up because their legs don't work in sync. Riding a bike really helps me sync up because of the push-pull your legs have to do.